This Registration option is only available to current paid National LHG Members. Please remember, our events are open to women 16 years of age or older unless otherwise noted. Join us for a great morning workshop with James Wieser who will show us how to forage for wild mushrooms. 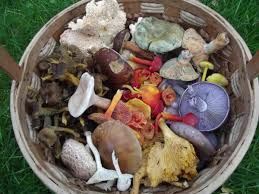 In addition he will have a cook and taste at the end and he will show us how to raise edible wild mushrooms in our own yards. Cost is $15 for National LHG Members, $20 for Non-National Members. Please RSVP and pay registration fee by May 24 through Wild Apricot. 15 participant maximum. After you have registered, you will be sent an invoice reminding you to please pay via PayPal's 'Send Money to Friends and Family'. Send your payment to: jeffco@NLHG.org - Please make a note on the payment that the money is for the 'Mushroom Foraging Workshop'. We can't count you as coming until you have paid online!